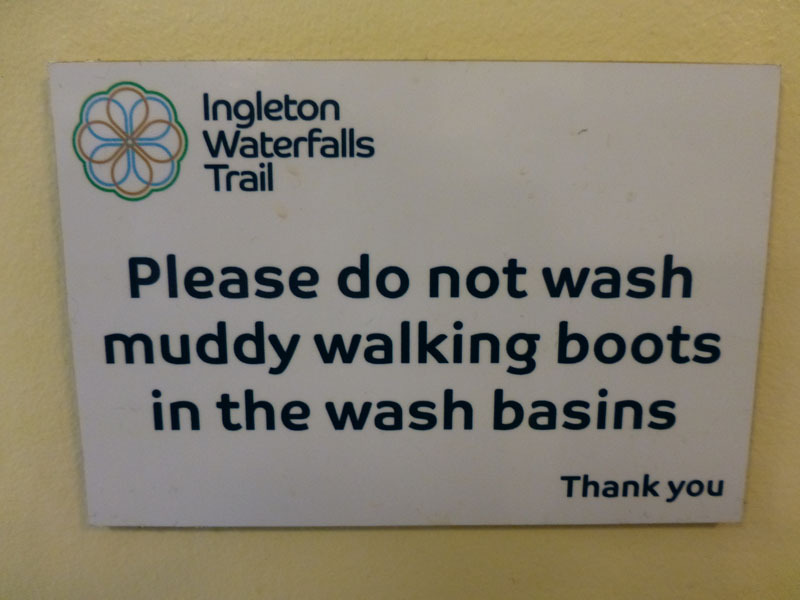 A visit to one of Yorkshire's best water features. 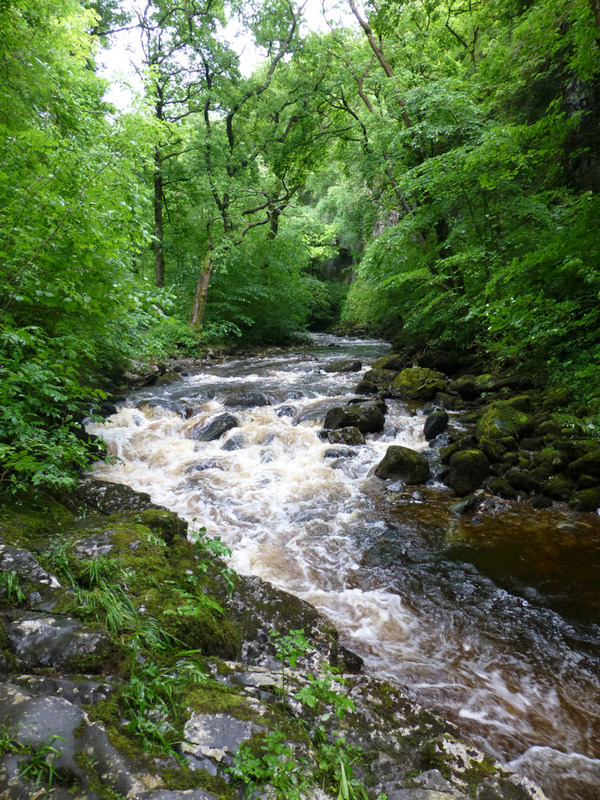 Two separate rivers plunge hundreds of feet through wooded gorges before meeting in Ingleton. 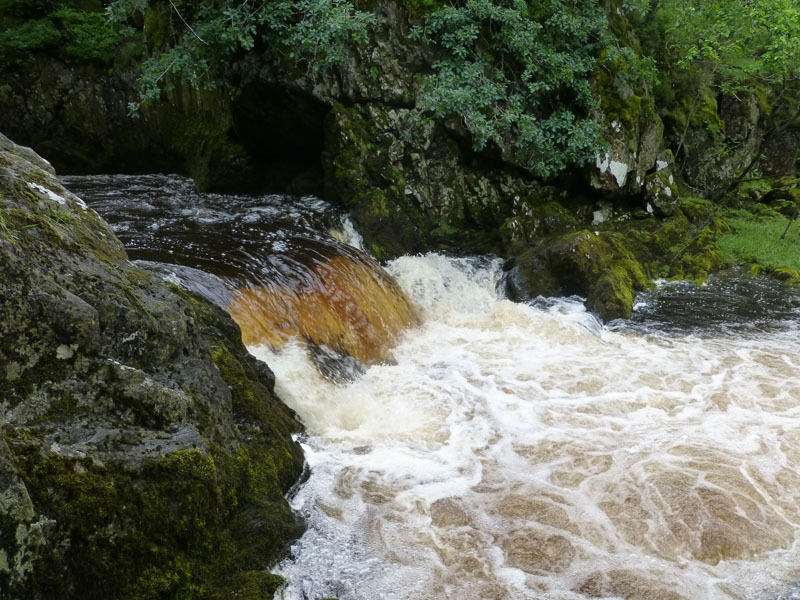 Best seen after heavy rain, there have been many opportunities lately to see the full flow. 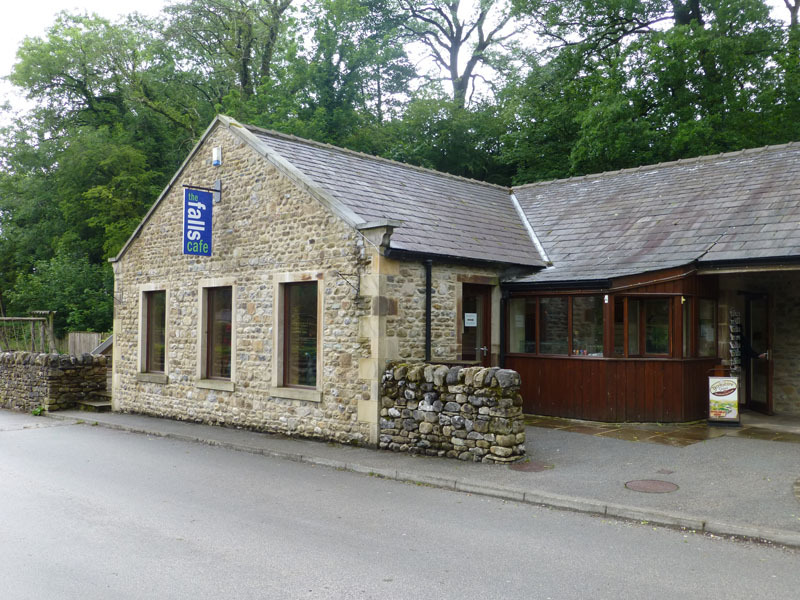 It costs £5 per adult to enter the walk from the official car park. 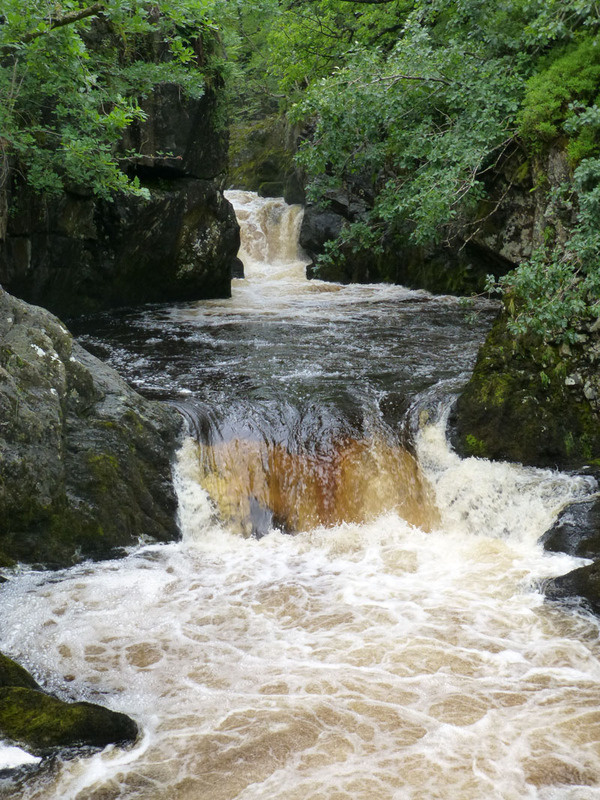 I generally hold the belief that all our natural assets such as moutains, rivers and waterfalls etc. should be available at no charge for us all to enjoy. However, this adventure would not be possible without well-maintained walkways and therefore the cost, which includes car parking, does offer good value for money. In the winter, you see more of the water and less of the trees. It's not raining and for that we should be grateful. 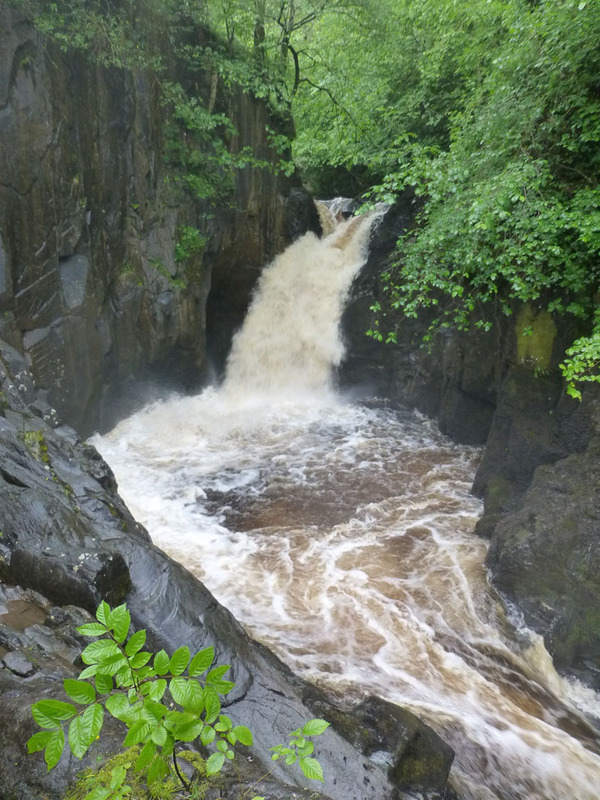 Friday and Saturday were really quite wet in parts of NW England. 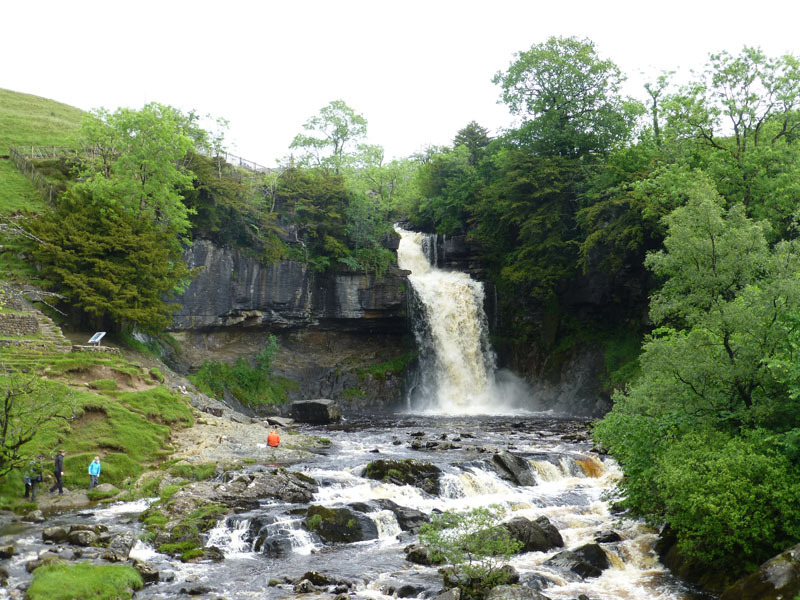 For Ingleton Waterfalls' veterans, there is nothing new here, but we'll keep coming back every now and again to see these magnificent displays. Walkers are encouraged to walk in a clockwise manner, thus you pass the man in the kiosk and don't even think about getting in for free. 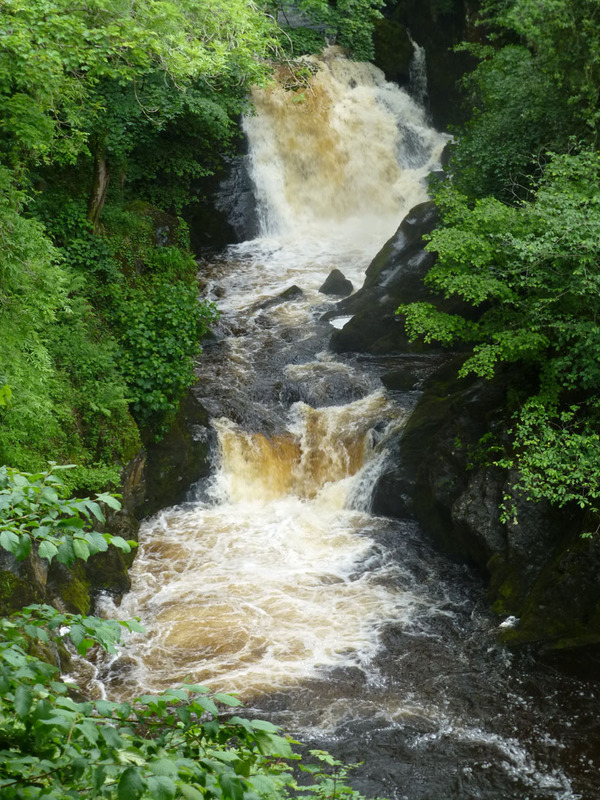 Maybe the most well known of the Waterfalls. The intrepid can get behind the water on a narrow ledge. 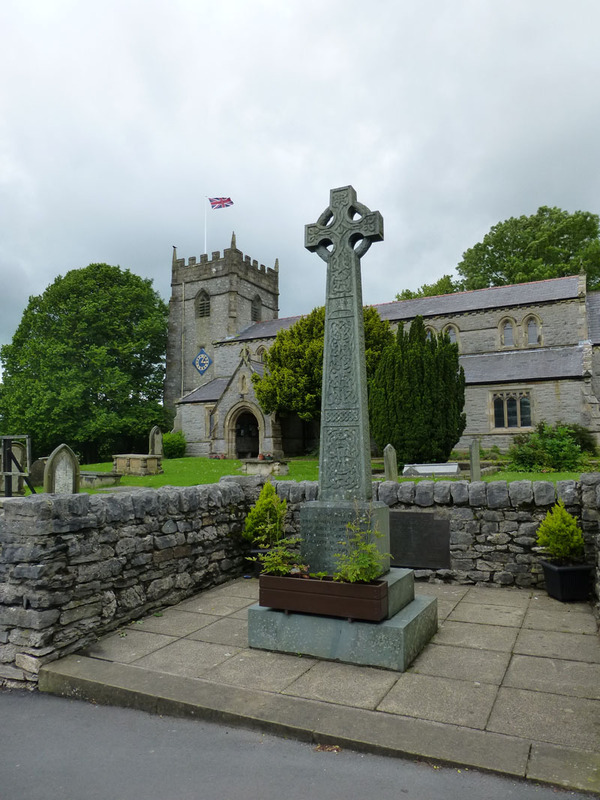 Ingleton Walkers - Claim Your Prize! A new feature on the website. Spot yourselves and claim an A3 print of your choice from the walk in question. They look well suited to one another, with matching trousers and flasks. We wanted to sit there! 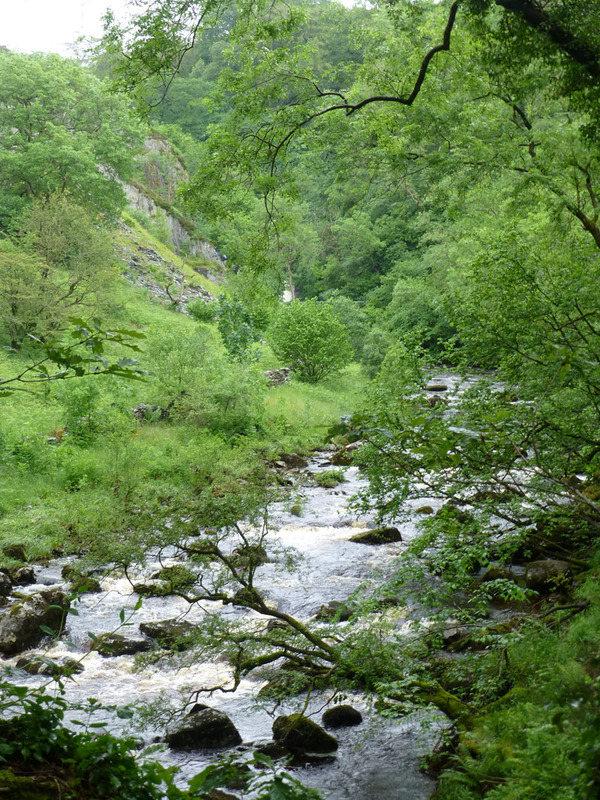 After Thornton Force, walkers proceed along a well worn path to the top lane, past the Ice Cream Van and then down towards Twistleton Farm and the higher reaches of the River Doe. 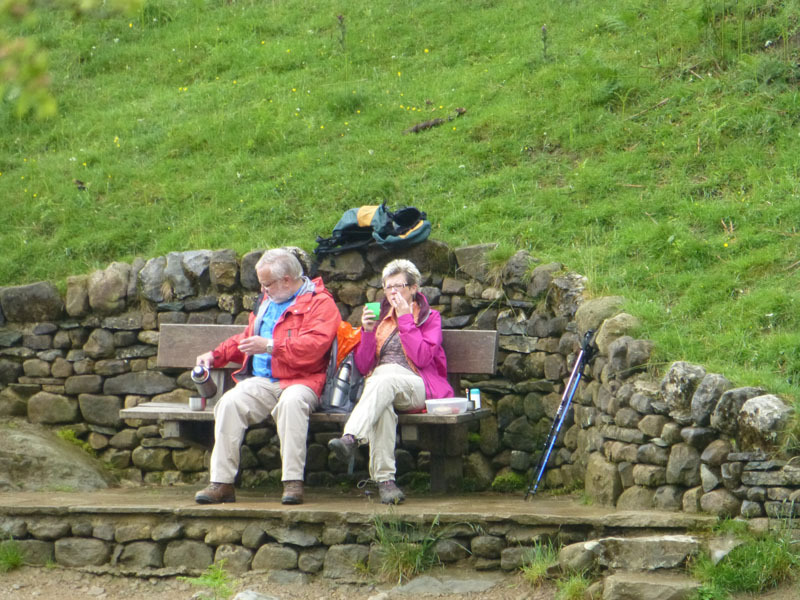 A refreshment hut has been built by the IW folk and walkers are funneled past the facility. 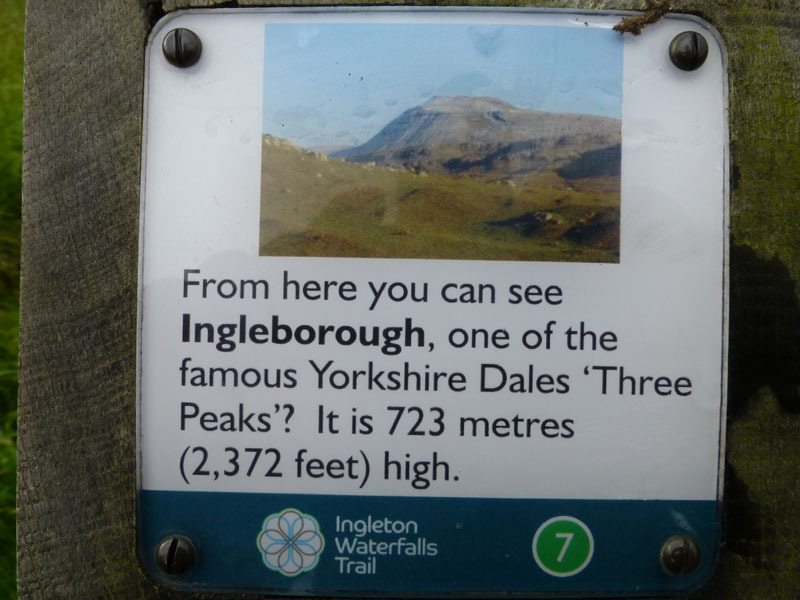 Ingleborough is lurking somewhere in the clouds. Spot the grammatical error. 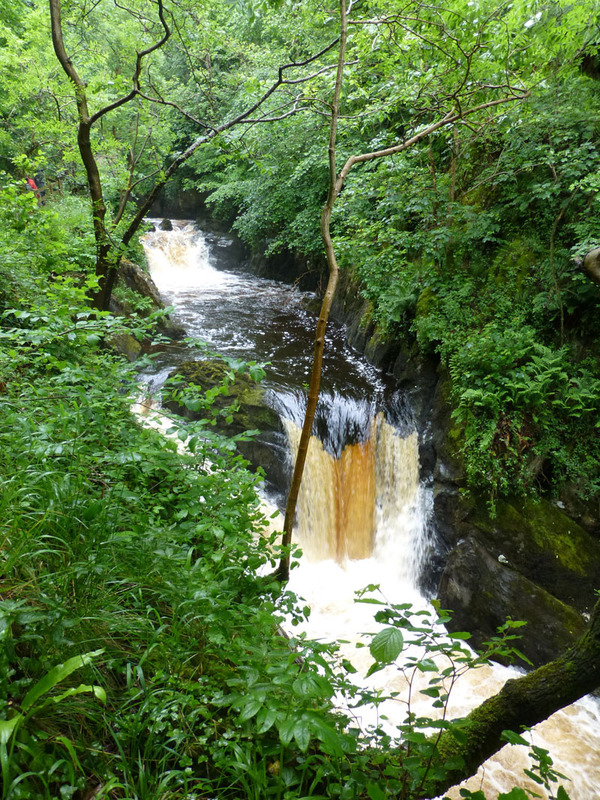 The first of the River Doe waterfalls. By rights, children should be jumping in and swimming around in here at this time of year. 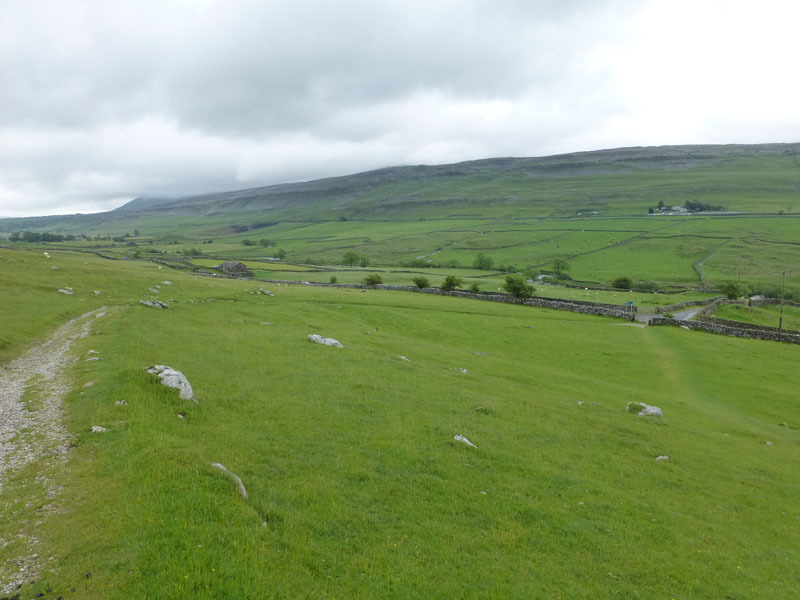 You just keep following the path and leave the woods to walk through an old mining / smelting area and into Ingleton. 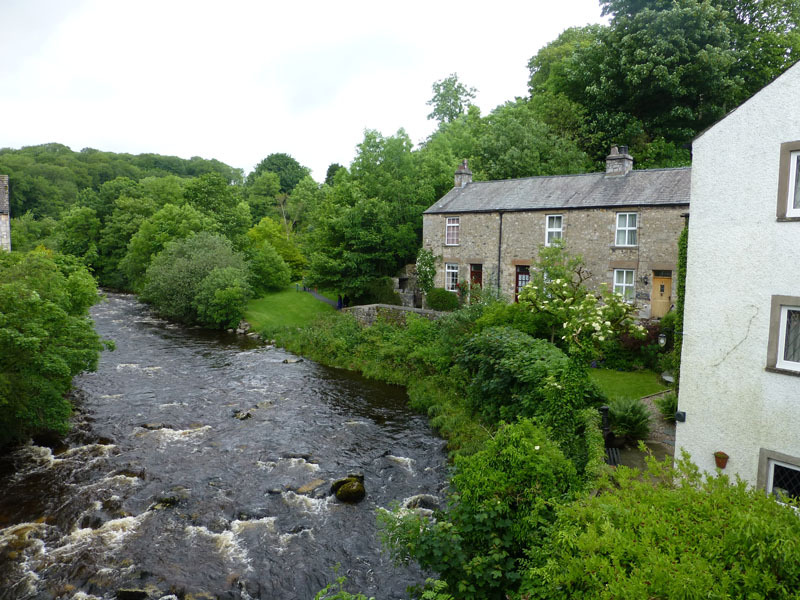 The Doe enters Ingleton and soon meets The River Twiss. Time taken: 3hrs 10 mins over a distance of about 4.5 miles. 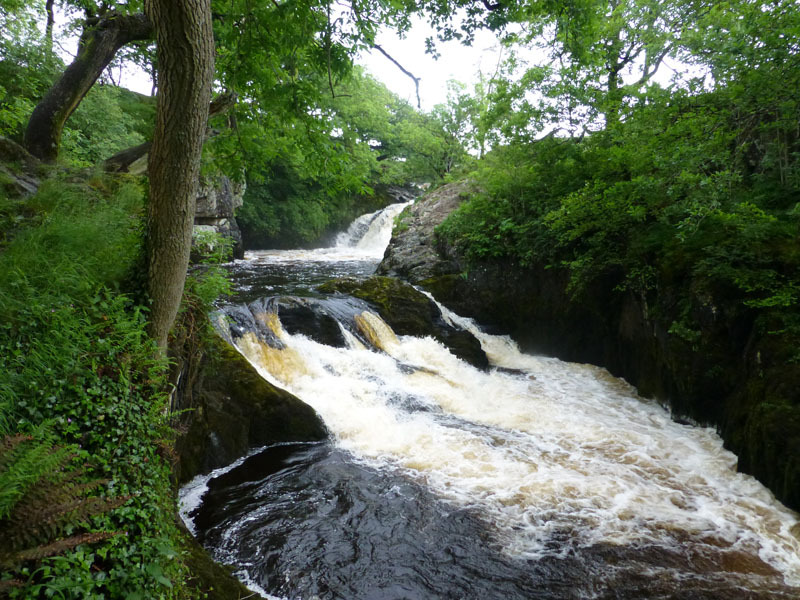 Route: The Ingleton Waterfalls Trail is available on their wesbite. Weather and conditions: Cloudy and calm, a few sunny intervals later on. Greetings Count: Plenty of folk about. Meet less by going round clockwise. Richard's Refreshment Review: The Fells Cafe is pretty good, with a fine meun and prompt service. Karen had a toastie and I had homemade Tomato & Basil soup. Tea came with extra hot water.